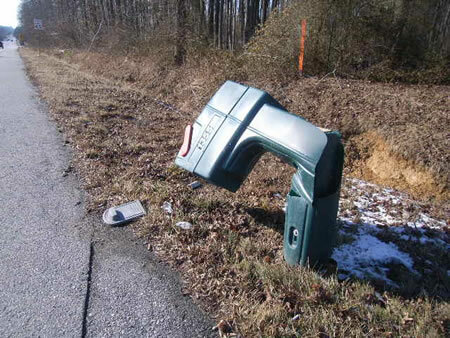 Mailboxes by their exposed accessible locations become victims of various forms of mayhem. Just standing day after day outside in the elements is hard enough on any object. Add to that the proximity to streets and driveways and collisions with errant motor vehicles are common. 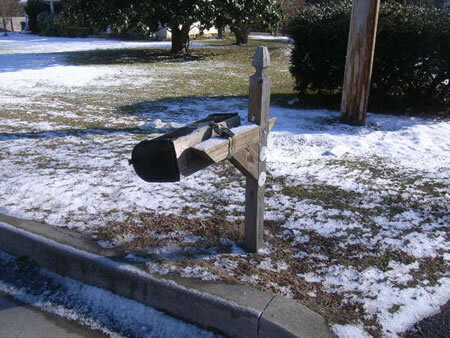 Rural mail boxes have a special attraction to vandals and wintertime brings snow plow trucks slinging snow so fiercely that mail boxes are blown right off their post. The post office won't deliver mail without a mail box and address identification. We see many wounded mailboxes held together with string or duct tape and propped up with cinderblocks or sticks. An un-mounted or loosemail box is difficult for you and the mailman. A properly installed mail box will withstand a bit more weather related wear and tear and make life easier for your mailman, there isn't much that can withstand a vehicle strike but we do provide mailboxes that are more vandal resistant. When installing a roadside mailbox there is always the concern when digging that buried utilities may be damaged and/or you may be injured. Some pedestal mounts require a substantial masonry footing. When we install your mailbox support we call for the underground utilities to be located and marked before digging. For emergency replacement situations we can supply a temporary, ballast supported mailbox until underground utilities can be located and marked, and in some situations, until there are appropriate weather conditions. Apartments, office buildings, neighborhoods, all require secure reliable mail facilities. Sweeten Contracting can supply and install mail boxes to fit you particular need. 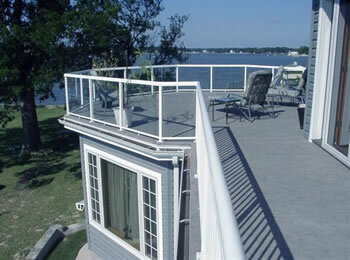 We can also provide shelter structures for exterior clusters. Your wall mounted mailbox should be fastened securely and not allow water to infiltrate your building envelope or allow water into the mailbox. It needs to be conveniently located for both you and the mailman. For emergency situations call us or email. 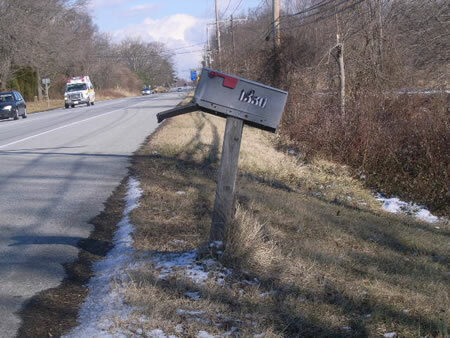 If your mailbox is not functional you may want to call the post office and have them temporally suspend delivery and hold your mail for pickup until we can correct the situation. 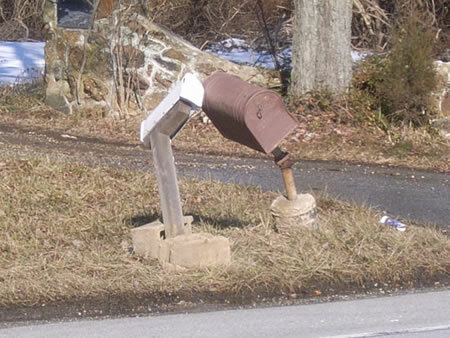 We can keep you in compliance when it comes time to replace your mailbox.